Oilube® or Oilite bearings are oil impregnated sintered bronze bearings which are available in metric and imperial sizes and can be supplied plain (no flange), or with a flange on one side. Other Oilite product includes washers, solid bars, and cored bars. The Oilite bearings are porous and can be damaged if fitting is not carried out correctly. Assembly by hammer blows deforms the bearing. The correct method is by using a shouldered insertion pin. Fitting without the use of an insertion pin can only be done where a tolerance of more than IT8 is acceptable on the fitted bearing. 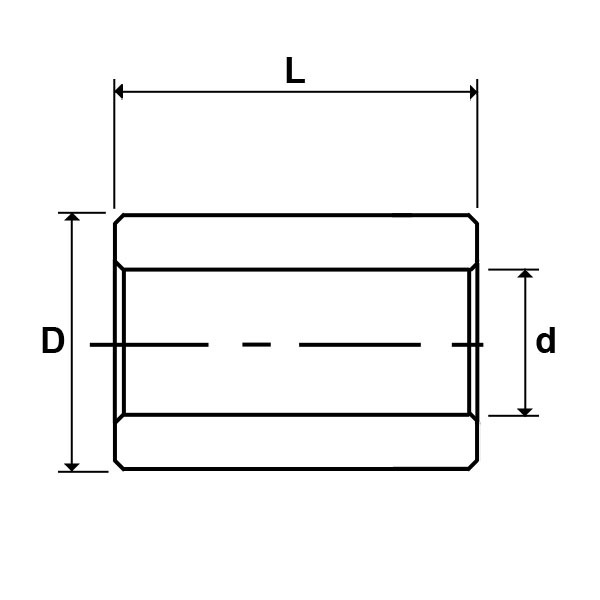 A chamfer in the housing bore is necessary to serve as a lead for the bearing. Any out-of-roundness in the bearing is corrected when the bearing is pressed into the housing.